At Balnarring Primary School, we recognise literacy as being an integral part of daily life. 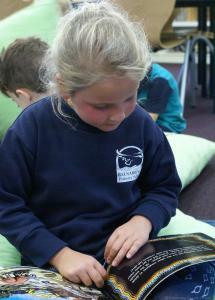 We aim to develop children’s skills in thinking, speaking and listening, reading and writing. They are important in all areas of the curriculum. Students are exposed to a variety of texts which develop their literacy skills such as comprehension, reading strategies and reading fluency. In addition, library sessions and ‘take home’ reading material support such development, as well as fostering confidence and a love of literature. 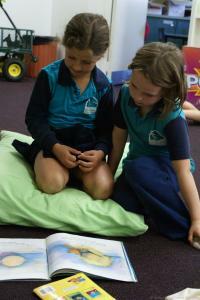 The home-school partnership is vital to the success of the literacy program. Children with lots of support and encouragement from home consistently benefit from these efforts. 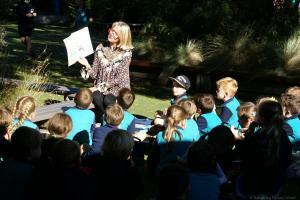 The literacy program at Balnarring Primary School is derived from the Victorian Curriculum, English. English (Foundation to Year 4). 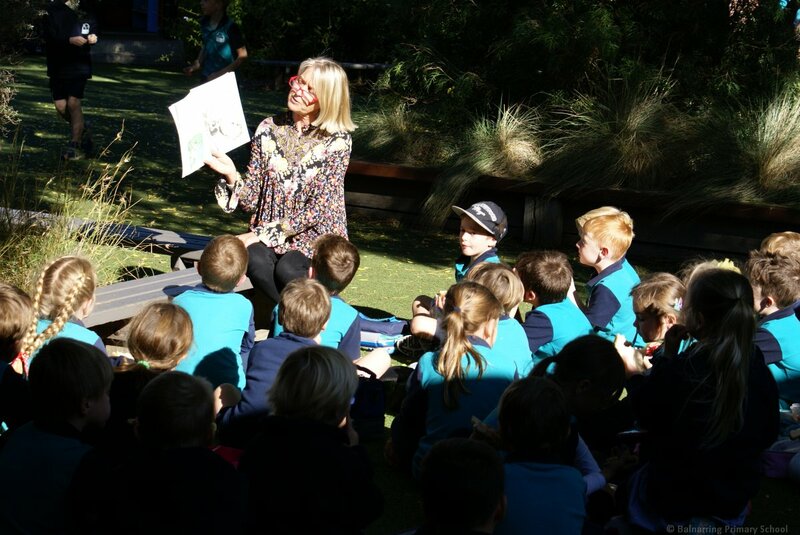 The Foundation – Year 4 program is a strategic and comprehensive approach to teaching literacy, including speaking and listening, reading and viewing and writing. Students work individually, in small groups and as a whole class on activities designed to match their individual learning needs. 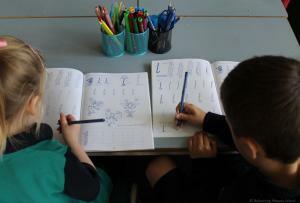 Through a range of teaching approaches, including Shared Reading and Writing, Conferencing, Guided Reading and Writing, Reciprocal Reading and Multimodal literacy, students develop and acquire new reading skills and comprehension strategies. They read and write texts in a variety of genres including narrative, information, exposition and procedural texts. Students learn about the writing process, publishing some of their work and understand the importance of having neat, fluent handwriting skills. 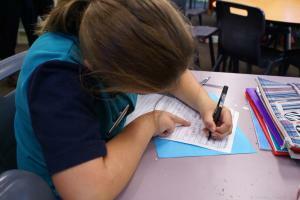 A phonemic spelling program is implemented across the school that incorporates the features of THRASS. Our senior students enjoy many opportunities to enhance their speaking and listening skills, in both formal and informal situations. Taking the microphone at Assembly, conducting school tours for new families and thanking guest presenters to name a few. 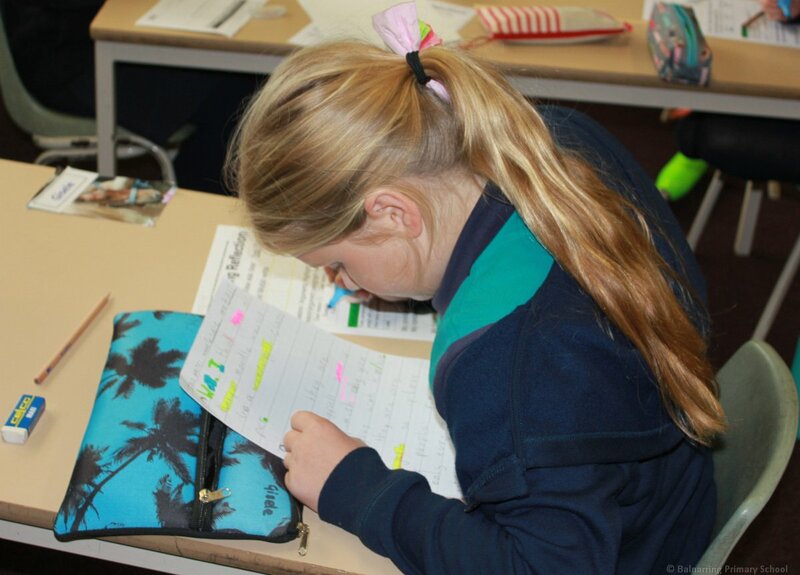 In literacy classes, our Year 5-6 students continue to work in groups or independently, focussing on both fiction and non-fiction tasks. There is a greater use of ‘real life’ texts such as internet and newspaper articles. A stronger emphasis is placed on developing children’s understanding of text and genre at a deeper level, through higher-order questioning and greater vocabulary development in both reading and writing. The program provides frequent opportunities for the children to continue writing in a number of the different genres, using the skills they have been developing and then expanding them further. There is a focus on children being able to express their own views or research a particular topic to support their writing with known facts. 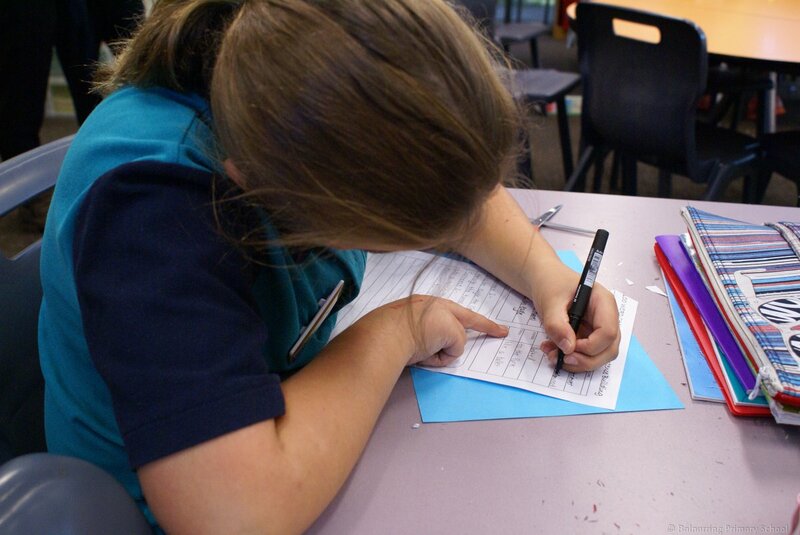 They have the opportunity to present their work in a number of ways, using the computer or their neatest Victorian cursive script handwriting. A Literacy Assistance Program is implemented daily by our Education Support staff who offer an intervention program designed for children in the school who may need some extra help with their literacy development.